Pet allergy is a very common problem. Most allergy prone people who are in close contact to pets will develop allergies to them. Allergies to cats and dogs are likely to appear, if you, or your child, have allergies. Fortunately, usually pet allergy is not much of a problem. Both the hair/fur and the saliva can give rise to these allergies. It is a good idea to avoid pet allergy if you can. The best strategy is obvious: do is not to have any hairy or furry pets. Stick to fish and reptiles! Although there are some so-called “low allergen” breeds of dog (Yorkshire Terriers, Spoodles and Bichon Frise) it seems that this is only becasue these dogs get groomed and washed more. 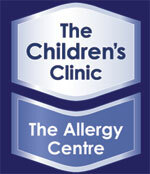 The Childrens Clinic | Allergy Centre offers this service so that you can get skin prick tests to determine the extent of any dog, cat, rabbit and horse allergies. Keep animals out of bedrooms. Keep pets outside (with appropriate shelter). Wash your cat/dog every few weeks. If the pet allergy becomes a problem, then you will have to find a new home for your pet.